Just when we thought we had seen enough of Google Pixel 3 leaks, we are served fresh leaks by the company’s carrier and retail partners. The search engine giant has done a horrible job keeping its new phones a secret. With the big launch event just around the corner, the Google Pixel 3 price and other details have leaked on the Internet. Looks like Google will have no secrets to reveal at the launch event. Jon Prosser, the guy behind the YouTube channel Front Page Tech shared photos of promotional literature from the British telecom carrier EE. The images appear to be genuine, and show the deals you can expect from the carrier on the new Pixel handsets. As per the advertisement, the Google Pixel 3 price will start at £58 per month with an upfront cost of £10 per month. Assuming it’s a no-cost EMI and two-year contract deal, the price of the device comes at £706. The larger Pixel 3 XL start at £63 per month with an upfront cost of £20, meaning the phone’s total cost would be £766. The carrier is also running promotions where customers will get six months of free Apple Music and 24 months of inclusive access to the BTR Sports app. These are pretty standard EE offers. Besides the Google Pixel 3 price, the images shared by Jon Prosser also show white color Pixel 3 and Pixel 3 XL. The larger Pixel 3 XL has a display notch at the top and a thick chin at the bottom. The advertisement also highlights the “Top Shot” camera feature on the new Pixel phones. It allows you to capture the perfect shot every time. It works similar to the Flaw Detection technology in the Galaxy Note 9 camera that can detect if there is anything wrong with the picture you just clicked. The ads also confirm that the new Pixel phones will get a squeezable frame that you can use to trigger Google Assistant. You will also be able to turn off notifications by flipping the devices face down. The Pixel 3 camera also boasts a ‘groupie selfie’ feature. Separately, 9to5Mac spotted that Canadian carrier Freedom Mobile has listed the Google Pixel 3 and Pixel 3 XL in ‘Not Pink’ color and 64GB storage option. 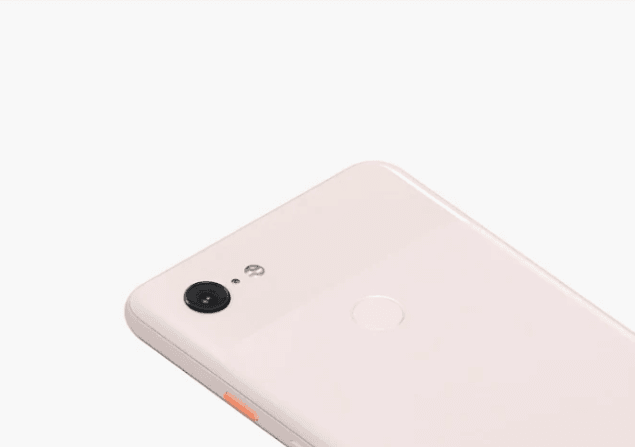 The listing also showed a 128GB storage model of Pixel 3, but the ‘Not Pink’ color appears to be limited to the 64GB version. Freedom Mobile has since taken down the listing, but not before confirming almost all the features. The new handsets will run Android 9 Pie out of the box. They will be powered by 4GB RAM and Snapdragon 845 chipset. Both models will boast of an IP68 rating for water- and dust-resistance. The larger Pixel 3 XL sports a 6.3-inch display with 1440 x 2880 resolution, a 3,430mAh battery, and weighs 184g. The regular Pixel 3 features a 5.5-inch display with 1080p resolution and weighs 148g. As per the Freedom Mobile listing, the Google Pixel 3 price will be CAD 999 for the 64GB model and CAD 1,129 for the 128GB model. The Pixel 3 XL would cost CAD 1,129 for the 64GB and CAD 1,1259 for the 128GB storage variant. Its rear panel design is similar to last year’s Pixel 2 XL with a circular fingerprint sensor. The device has a 6.3-inch display and 128GB storage. Engadget lists similar specifications as that leaked by Freedom Mobile. However, the publication speculates that there could be a high-end version as well with 6GB RAM. In terms of optics, the Pixel 3 XL has a 12.2MP main camera and an 8MP lens on the front. Past rumors have suggested that there will also be a second super-wide angle lens on the front. The Google Pixel 3 event is scheduled to start at 11 AM ET on Tuesday, October 9th in New York City. You will be able to watch the event right here. The search engine giant is expected to announce a bunch of other products at the event such as a Pixel Stand, Pixel Slate, an upgraded Chromecast, Pixel Buds, and a Home speaker with a display.